95% of ocean pollution is plastics. But we still market things like 3D printing pens to children. Geologists classified a new stone “plastiglomerate” in the sedimentary profile of beaches in Hawai'i. This “stone” formed from ocean trash and beach plastic that melted in beach fires, filling the vesicles of basalt lava. 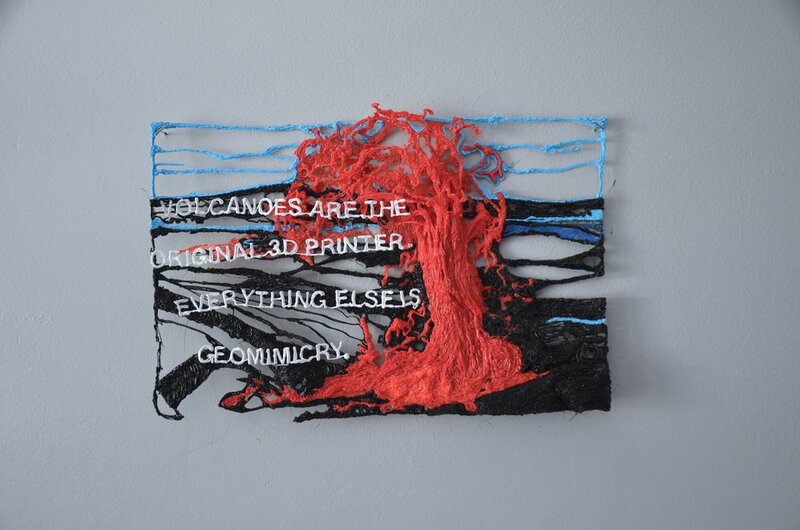 This is an irony because in a way, volcanoes are the original 3D printer, printing landforms like the Hawaiian islands. 3D printing is mimetic of this volcanic process. In fact the layers of plastic in this piece even resemble the lapping texture of pahoehoe lava. 3D printing is a kind of geomimicry.